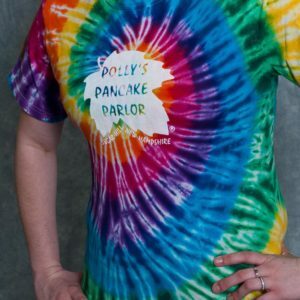 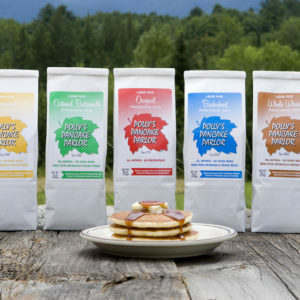 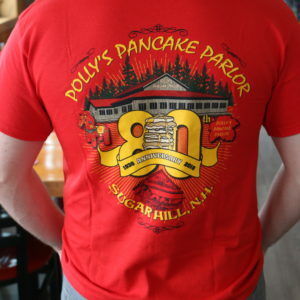 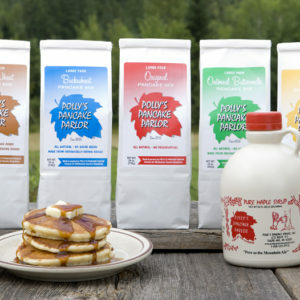 New Hampshire maple syrup and Polly’s Pancake mixes make a wonderful gift. 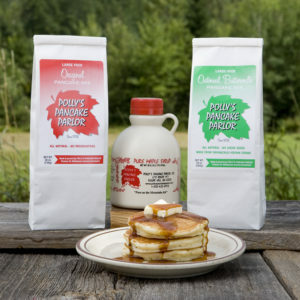 Pancakes make great gifts! 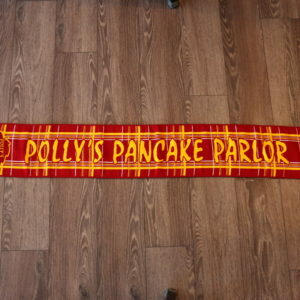 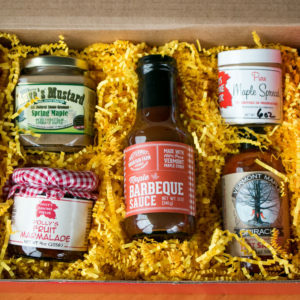 These gift combinations allow you to really give someone a taste of Polly’s in their own home! 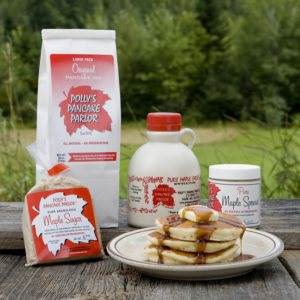 Whether they’re a maple fanatic or enjoy making pancakes for the whole family, you’re sure to find the right combination for the breakfast fans in your life! 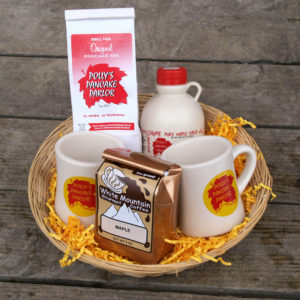 These prices do not include gift box. 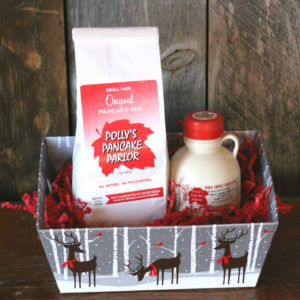 If you would like it in a gift box please add $3.75 for each box. 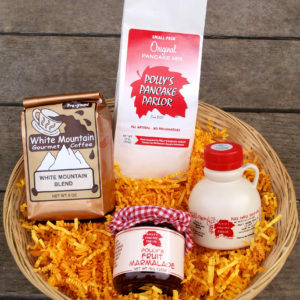 For an added special touch you may place combinations or any items in a decorative basket. 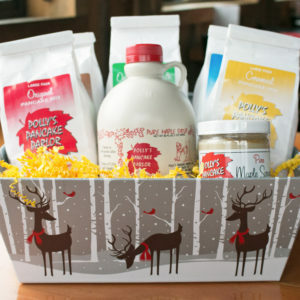 Please add $5 per basket. 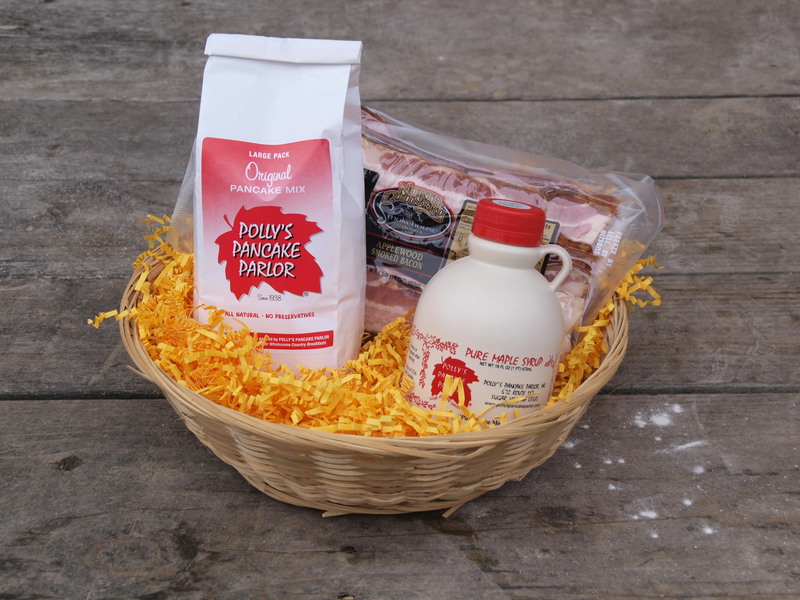 If you don’t see the exact combination you need please give us a call, we would be happy to assist you in creating your own combination.